The City of Bath on the Kennebec River in Maine was a shipbuilding center on the east coast. The waterway was busy in the 1800's however there were no aids to navigation in place once you entered the river. 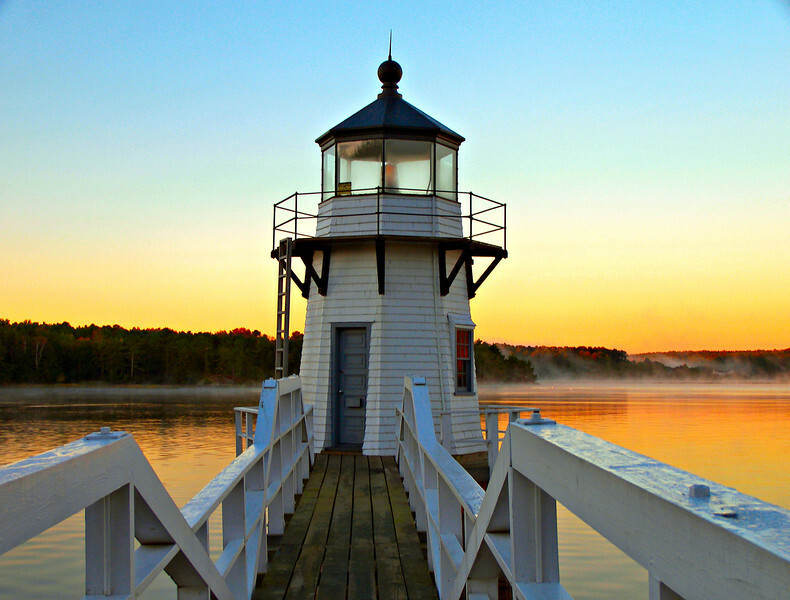 Congress rectified this in 1895 by authorizing 4 light stations to be built on the river. These were Perkin's Island Light, Squirrel Point Light, the Doubling Point Range Lights, and the Doubling Point Light. In 1896 a plot of land along the river was purchased and a wooden octagonal lighthouse was built. The light was completed in 1898. Also built at this time were a keepers dwelling, a barn and a fog bell tower.